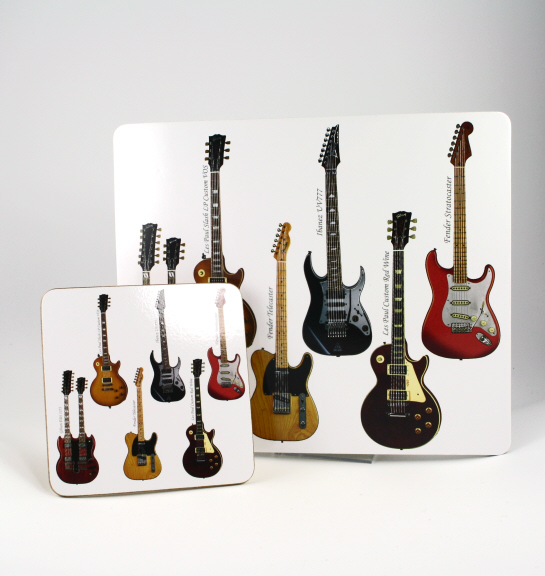 A Guitar Mouse and Coaster Mat Gift Set for electric guitar enthusiasts! Miniature bright red and black drums gold cymbals and a clock! Such a neat fun gift for your favourite musician.